Despite being so difficult to detect, neutrinos are frequently the subject of exciting news—not to mention the 2015 Nobel Prize in physics. 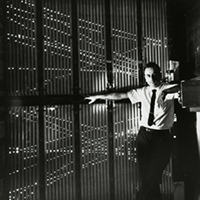 This collection of articles from the Physics archive provides an overview of findings from neutrino research, from the first detection of the particle in the 1950s to a search for “sterile” neutrinos today. 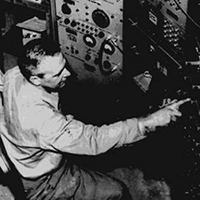 David Lindley describes the experiment performed by two physicists in the 1950s that led to the first detection of the neutrino. Nine years after neutrinos were discovered, physicists found that the particles come in two flavors, electron and muon. David Lindley tells the story of the enormous scale of the experiment used to make this discovery. Writing about the 2015 Nobel Prize in physics, Philip Ball recounts the papers reporting the discovery that neutrinos transform from one flavor to another, and therefore have mass. 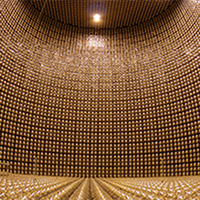 Neutrino oscillations are governed by three “mixing angles.” In 2011, the T2K experiment in Japan observed hints that the remaining unknown mixing angle, θ13, was unexpectedly large. As Stephen Parke explains in a Viewpoint, the result has implications for using neutrinos to understand the asymmetry between matter and antimatter. T2K was sadly cut short by an earthquake in Japan. But in 2012, the Daya Bay experiment in China provided conclusive evidence for a large θ13, as Janet Conrad details in a Viewpoint. Read the Viewpoint by Parke. Read the Viewpoint by Conrad. 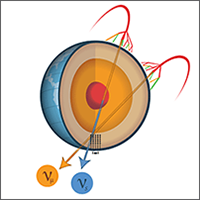 In 2013, the IceCube neutrino observatory at the South Pole reported two events with energies above 1 PeV—the highest-energy neutrinos ever detected. 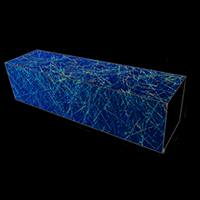 In a Viewpoint describing IceCube’s analysis of 37 detected neutrinos with energies from 30 TeV to 2 PeV, Eli Waxman explains what high-energy neutrinos might be able to tell us about astrophysical objects outside our galaxy. Read the Synopsis on IceCube’s discovery. Read the Viewpoint by Waxman. A Viewpoint by Joseph Formaggio describes measurements from the T2K experiment of muon-neutrino oscillations, which helped researchers estimate charge-parity (CP) violation in neutrino interactions. The first results from the NOvA experiment set further constraints on CP violation, as well as on the ordering of neutrino masses, as detailed in a Viewpoint by Joshua Spitz. Read the Viewpoint by Formaggio. Read the Viewpoint by Spitz. 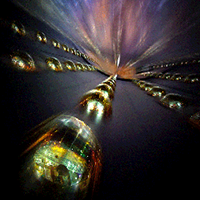 Neutrino data have provided researchers with a new way of testing the foundations of physical theories. In 2015, an analysis of oscillations of atmospheric neutrinos showed no sign of violating Lorentz invariance—a fundamental principle of relativity. In 2016, a test similar to a Bell inequality test confirmed that neutrino oscillation is a quantum physics effect incompatible with purely classical (or “realist”) models. 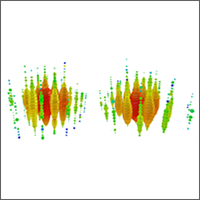 Read the Synopsis on Lorentz invariance test. Read the Synopsis on quantum physics test. 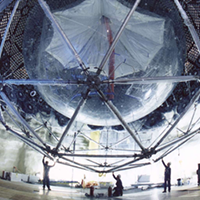 In a Viewpoint, David Schmitz describes a one-of-a-kind search for a “sterile” neutrino with the IceCube experiment. The search came up empty, but it significantly narrowed the range of masses that a new type of neutrino could have. Read the Viewpoint by Schmitz.